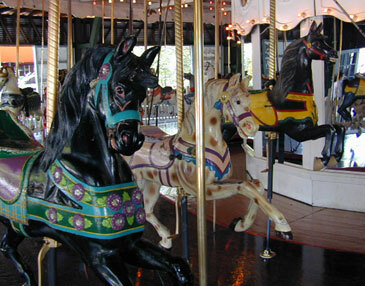 On April 15th, 2000 when the auctioneer's voice subsided, the Whalom Park carousel had been sold in pieces. It was that very same day that the Whalom Park Carousel Association began, when one man, who envisioned bringing the carousel back together, bought the entire frame of the machine. In the weeks following the auction the Carousel Association set out to buy back, reassemble and restore this historic, hand-carved Loof carousel, a completely unprecedented feat in the history of the amusement industry.